Ballistic Red Dragon Assisted Opening Folding Pocket Knife | BUDK.com - Knives & Swords At The Lowest Prices! 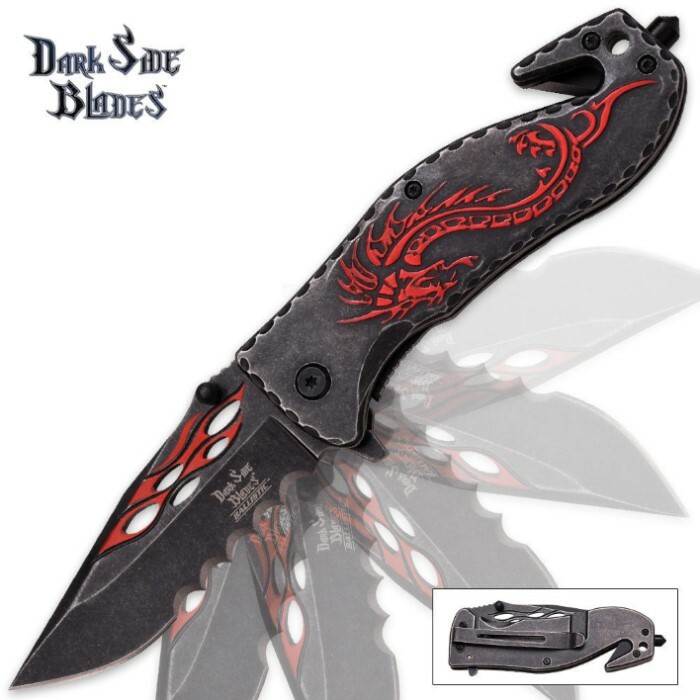 The Dark Side Ballistic Red Dragon is a great collector's item with a decorative red dragon emblazoned on its handle. This assisted-opening knife has a 3-1/2 " black stonewashed blade of stainless steel with a red flame incorporated into the design. 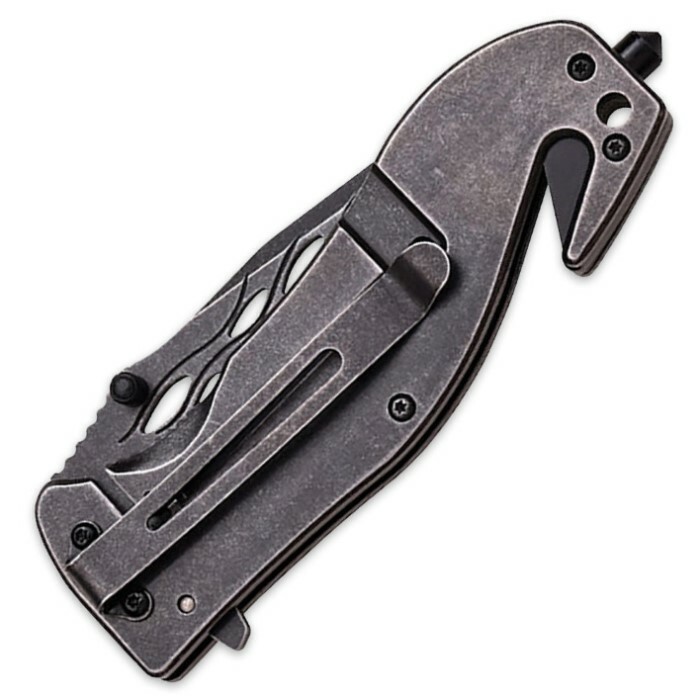 The handle is also black stonewash and is contoured for a sturdy grip. The beautiful item is complete with a belt cutter, glass breaker and pocket clip. It is 4-1/2 " closed. super sharp i cut my thumb twice from touching the blade. I literally just received this knife today and I must say, my husband is VERY satisfied with it. First thing he did was test the sharpness. He now has a bald spot on his arm. I plan on ordering him the blue one next.